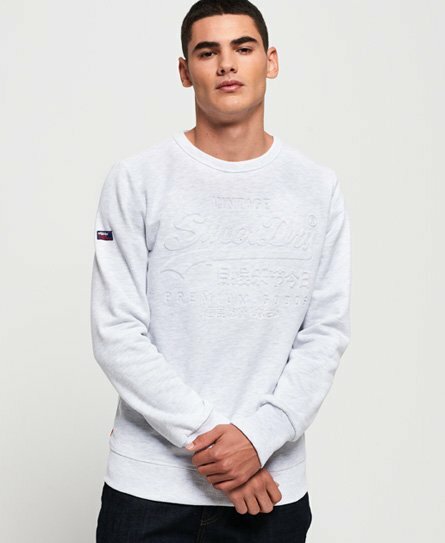 Superdry men's Premium Goods embossed debossed sweatshirt. Perfect for layering, this classic style sweatshirt features long sleeves, a crew neck, soft fleece lining and ribbed cuffs and hem. Completed with an embossed and debossed Superdry logo across the chest and a Superdry logo patch on one sleeve.